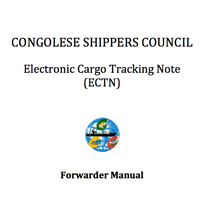 An ECTN certificate is to accompany all shipments/ cargo heading towards the Republic of Congo. Once the ECTN has been granted, the ECTN will receive a Unique Registration Number or URN number. This number should be endorsed on the Bill of Lading and is required by the Congolese Shippers Council (CCC) when clearing the goods. The CCC application is an application that allows the forwarders in the country of origin to apply for an ECTN/ URN. The ECTN should be obtained within 5 working days after vessel's departure. Please see official circular note (N°01007/CCC/DG) regarding the GUOT Number to be obtained prior to granting of the ECTN. This number is to be obtained by the local importer.